We’ve talked a lot about SEO basics and the importance of getting your blog to rank in Google search but a good SEO strategy is just as important with your pages outside the blog. I’m talking about the things you sell on Amazon, eBay, Etsy and wherever you place products on the web. Amazon is a search engine with billions of customers searching the site every month. Getting to the top of Google search is great but getting to the top of Amazon search is pure gold. When people search on Amazon, you know they’re ready to buy. That makes good Amazon SEO tips something that will make you a ton of money. 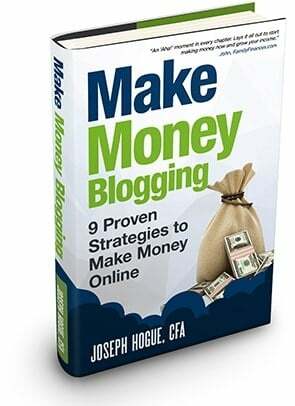 Strong blog traffic will help drive sales to these pages through your blog’s store…in a few years. 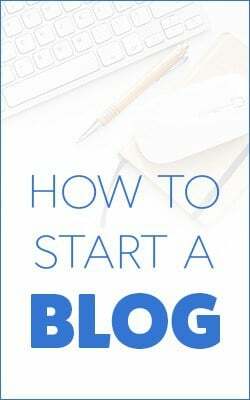 If just 2% of people reading a post or page click through to a link, and then even 5% end up buying the product, you need tens of thousands of blog visitors just to generate a few dozen product sales. That kind of traffic doesn’t happen overnight. So it makes sense that the smarter route is to take your SEO directly to Amazon, building SEO tips into your page and getting ranked on the world’s largest ecommerce site. Use some of the SEO basics below and you can start building traffic directly on your product pages. On the 5% buyer conversion, you need just 720 visitors to a product page to generate the same number of sales as 36,000 blog visitors! I’ve developed my own Google SEO process that I use with each new post I write. It’s helped me rank for more than 1,700 keywords on the first page of Google alone. 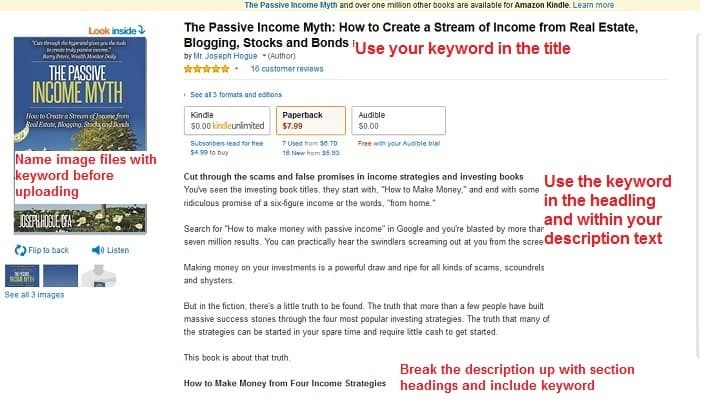 I’ve also used it in Amazon SEO for my book pages to make over $1,500 a month self-publishing. I recently shared my entire Google and Amazon SEO process in a new ebook, Google SEO for Bloggers: A Step by Step Strategy for Getting Google Love. It’s already an Amazon best-seller in the search engine optimization category and is available on Kindle and paperback. 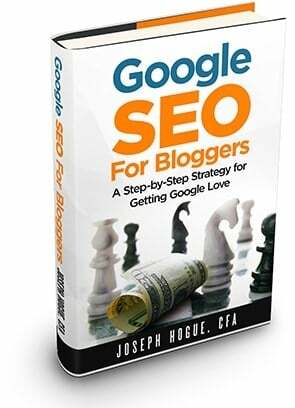 Get your copy of Google SEO for Bloggers and get the Google love you deserve! We’ll mostly be talking about SEO basics for your Amazon or eBay page but these ideas will work on just about any online sales platform. 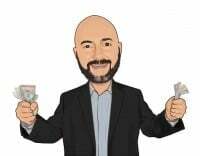 Besides the traffic you send directly to your Amazon product page, there are really two ways you make sales: through the website’s search or through Google search…either way, it’s all about your search ranking. SEO (search engine optimization) is about making your product page stand out to the website’s program that determines who shows up in search and how highly ranked the page is against others. Search engines like Google and the search feature on sites like Amazon or eBay want one thing, to show their visitors the most relevant and helpful results. They do this by measuring the content on each page and how other visitors have reacted to the page. SEO basics is all about understanding what the search engines are looking at and making your page fit those goals. Search engines like Google and the search feature on sites like Amazon or eBay want one thing, to show their visitors the most relevant and helpful results. They do this by measuring the content on each page and how other visitors have reacted to the page. SEO basics is all about understanding what the search engines are looking at and making your page fit those goals. When someone searches Google or another site, they’re using a keyword or keyword phrase to find what they want. Your job is to make your page stand out for this keyword phrase. What keywords are most relevant for your product? Ranking #1 for a keyword is useless if it brings visitors that want nothing to do with your product. How many people are searching for that keyword each month? It does no good to rank for a keyword that gets very little traffic. Check out the Terapeak tool for keyword research. It’s designed for eBay data but works for Amazon as well. What words and phrases are similar to your keyword? Many search engines are putting high value on keyword similarity (called Latent Semantic Indexing) because people used to just stuff one keyword into an article. Using many keywords that all mean basically the same thing will help rank for your main keyword. There may be one category for which your product is obvious but it might not be the best category. For example, several of my books on Amazon are about investing. I could list them in the investing category but I would have to compete against more than 20,000 books to rank in that category. By listing the books in categories like ‘mutual funds’ and ‘bonds’ I can rank more easily. It’s a lot like SEO basics for your keyword. You want to find categories that are relevant, not as competitive and get enough traffic to generate sales. How many other products or books are in each category? Check out the pages for the top ten results in each category, will it be extremely difficult to rank above these products? If you aren’t ranking on the first page of a search engine, you’re going to have a tough time making sales. Check out our self-publishing resource guide to learn more about picking Amazon categories for your books. Once you have found a keyword that is both relevant to your product and fairly popular in search, you need to use it on the page. This means using it and similar keywords in strategic places where the search engine looks. Product descriptions! Use as many words as allowable to describe your product, writing out paragraphs within separate sections. This is not only your chance to persuade visitors to buy but also to get noticed by search. Don’t get lazy with your product description. Check out competitor product descriptions if you get stuck. If you upload images to your product page, make sure you name the image file with the keyword before you upload it. When the search engine is looking at the page, it sees the image description and file name rather than the visual picture. If you can change the html in your description, do it! This is the basic coding that the computer reads that changes the text formatting. It isn’t as difficult as it seems and can be a big boost to your SEO ranking and to persuade people to buy the product. Draw attention to sentences with bolding and italics. Usually you don’t even need html to do this. Tag your subtitle and section headings in the description with H-tags like H2 and H3. These are special callouts to search engines, letting them know that the sentence is important and descriptive of the content below it. Search engines also look in a page’s comments for keywords. The idea is that commenters are not trying to game the search rankings with SEO basics so their comments are authentically related to the product. If you ask friends or family for reviews, ask them to include a few of your keywords in the review. I always try to get my Amazon books to at least 10 comments as quickly as possible. That double-digit level seems to be a psychological milestone for a lot of people and gives your product a real boost of social proof. Make sure you reach out personally to friends and family for a review and ask them to use some of your keywords in their review. This should be easy enough if they just talk about some of the chapter titles or the book title. 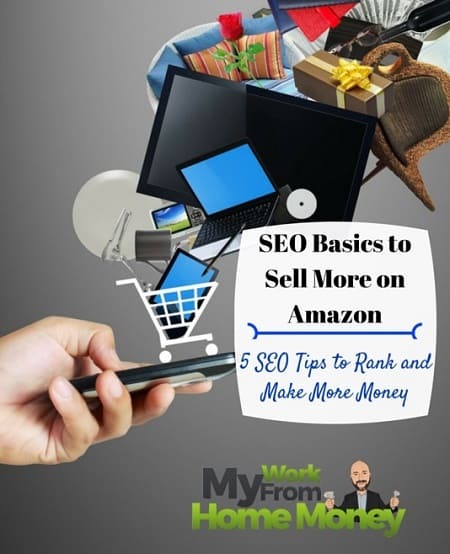 There’s more to grabbing that #1 spot on Amazon than just these SEO basics but these are the top five ideas that will get your most of the way there. Make sure you hit each one of these Amazon SEO tips on your product page to send signals to the search engine and stand out against your competition. Consider re-launching your product every six months or each year to get a few more sales and give it that boost that will help jump-start Amazon’s algorithm to start promoting your product for free.